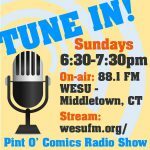 Pint O’ Comics stormed into the Mohegan Sun casino on Friday, the 18th of August, with all the good intentions of making new friends, finding new comics and meeting fellow pop culture enthusiasts of all sorts. We came away with all of that, and much, much more. After attending Terrificon last year for a single day, it left me thoroughly impressed with everything offered to the public. We’ve made no secret of our enjoyment of Terrificon and I’m certainly not going to change that with this recap. Get ready for a large amount of praise and positivity. Blame the eclipse. Mitch Hallock’s Big Fedora Marketing puts Terrificon together, from phaser to adamantine claws. The show runs a solid three days in the convention hall of the Mohegan’s casino, on their reservation. It is notoriously well-organized, with a nice percentage of that organizational buttressing from the staff of the casino, who are well-versed in events featuring large amounts of bodies and material. This year, Terrificon felt larger and more tightly packed than 2016, but it could just be that there were more attendees, which doesn’t detract, unless you’re not into crowds. A basic grid setup made it easy to locate vendors and creators for revisits, and the variety of all made it exciting for fans of everything. As a fan of comic books from the 1980’s (as opposed to the 1880’s), Terrificon continues to fulfill my inner geek. My outer geek is also fulfilled, but my inner geek squees with glee at the conglomeration of creators from my younger days. Names like Thomas and Zeck and Beatty and Giffen and Ordway and Kitson and Perez – oh wait, Perez is a scratch so he can heal up and keep drawing for another twenty years – that’s what makes a worthy COMIC con. John and I attended the show together, with the intent to gather interviews and press for more attention to that which you like best, the podcast and radio show. Friday turned out to be the best day for that, with a nice accumulation of fans, but not what would be the heavily trafficked Saturday. We met up with my old correspondent Barry Kitson, who I’ve talked with on and off since DC’s L.E.G.I.O.N. ’89, allowing me to reconnect and following up with what should be a fun (and slightly humiliating) interview. We talked with Bob Greenberger, another old connection of mine that I may or may not have ever met face-to-face. We chatted with Jerry Ordway over the weekend at a variety of locales, as his table was usually surrounded by his admiring fans. We recorded all sorts of folks as the weekend progressed, which you’ll be hearing over the next few episodes. Along for the ride were our friends Kingpin and Wizard Russ on Friday, Lloyd “the Manster” on Saturday, and G.I. Gary and Countess Libby on Sunday. They all had their own good times, as evident from smiles and dollars spent. We ran into many friends across the spectrum, from owners of coffee shops to fellow podcasters, professional shovellers to collectors, fans, and the occasional cosplayer. John enjoyed seeing Captain Quint of the Orca, and I was very pleased to see a real Colonial Warrior, circa 1978 Battlestar Galactica. I know Kingpin had plenty to say to Jessica Henwick, while Wizard dove deep into back issues. The Manster discovered new comics to devour, and G.I. Gary was able to fill in some shelf space with toy purchases, while reminding John and me that we probably should get a few more sound bites for the radio show. Minions can be useful! The Countess got short shrift with the shortest day, as John and I needed to get back to WESU to do a double-sized Pint, and I think she may have been a little whelmed by the crazy spectacle of nerdity. Regardless, she did like Terrificon, finding all sorts of things to spur the imagination. Friday I dove head first into a lengthy conversation with Michael Kelleher, whose Kellustration.com is attempting to restore the great Winsor McCay’s Little Nemo in Slumberland to a painstakingly perfect level. I learned a great deal about the process Michael is using for the restoration, as well as much of the other similar work he’s been doing, which will be heard on an upcoming episode of Pint O’ Comics. It’s a fascinating subject, one which is very important to the continued archiving of our favorite medium. I also discovered that Penny Farthing is still producing comics, unexpected as I thought they were no longer an active line. Saturday had us continuing the process from Friday, to a lesser degree. Traditionally, comic con attendance is highest on Saturday, and for Terrificon, that remained true to form. With so many bodies, noise and interference, we kept our profile small, aiming at gathering information and spreading word of the show. John had talked to some people whose work he enjoyed, bringing me to their booth to introduce me. Source Point Press is an up-and-comer, a company with heart, determination and a whole lot of creativity. So much so that the late, great Gary Reed worked with the company prior to his passing, which just makes them more intriguing. 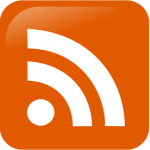 Source Point and their titles will soon have a few feature articles on the Pint O’ Comics website. We spotted the Kirby Museum display before going into a panel discussion on DC’s universe-breaking Crisis on Infinite Earths, and came back for a quickie interview with Rand Hoppe, Director of the museum. With 2017 being the 100 year anniversary of Jack Kirby’s birth, there are a number of celebrations happening across the comic spectrum. The Kirby Museum, a traveling display of works, continues to showcase all things Kirby wherever and whenever they can. One might even be near you, and it shouldn’t be missed. He’s not called “King” Kirby for nothing. The panels attended were fun, even though I tend to visit them less and less as the years progress. Retro-panels are fun and the Crisis panel followed by one on DC Comics in the 80’s hit the right spot for me. There were others on the schedule I would’ve liked to attend, but there just isn’t enough time in the day, and panel coverage for the website or the podcast really isn’t my interest. Maybe next year I’ll call upon the one of the Minions… It amused me to discover that there are still fans outraged at certain situations in their favorite comics. It’s comforting to know that my own indignations are by far no means different from many other comic fans. Nerds rule! Sunday was a mop up day, getting in final interviews and meetings with people missed, or booths not seen. A final stop by Tom Ryan’s booth for a the usual patter – we see this guy so often I wonder who’s following who – turned into a quickie interview that every pop culture lover will dig. Then, a late panel on the current state of the Charlton Movie was a must-see, which I did while John and G.I. Gary gathered promos from willing pros. Where is the Charlton Movie, you say? Delayed a bit, but still moving forward. Find out the details at their site, or you can wait until the fine folks behind the movie appear on the Pint to discuss all the pertinent information. Terrificon 2017 was a whirlwind of fun. It celebrated the life of the fine Adam West, populating the show with everything 60’s Bat-fun. I wish I was there to see the Batcopter actually fly in for a landing, though. What a cool thing that would’ve been! I think Adam would’ve been a very happy, proud man to see the outpouring of fandom aimed at him and Burt Ward. It was a Bat-spectacular of the greatest of heights. The sheer amount of bat-themed people and things just boggles the mind. Between the food stops, drink stops, cosplay dodging and constant chatter of fans and pros, Terrificon continues to endear itself. It’s a smaller convention that’s gaining more attention because it gives the essentials to every fan of every level. Pint O’ Comics will return next year, and we’re bringing more friends that haven’t experienced it yet. And Jerry O? We’ll be talking more. Terrificon 2018 is already being planned for August 17-19, 2018. Visit them at www.terrificon.com!